Having lunch over some Coche Dury with QingYing arriving HK from LeGrand Paris and two other great friends of mine. Besides all the great and rare wine at Caves LeGrand which occupies an enviable place off the galerie Vivienne, they have something fun and tasty as well which am trying now – “The Golden Raisins”. 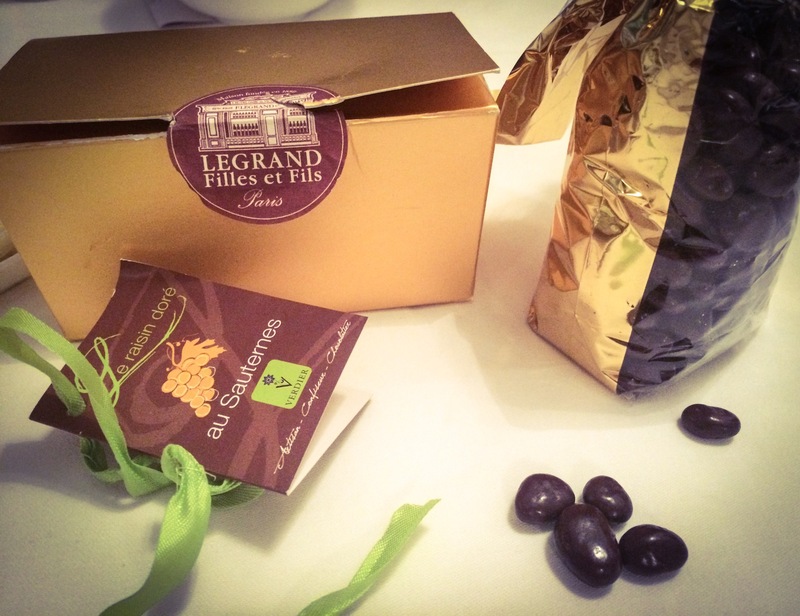 These are Sauternes-soaked raisins enrobed in 70% dark chocolate and are almost impossible to find outside of France. There’s a little sugar crunch as you bite down, revealing a golden yellow raisin with a delicious hint of dessert wine. Never too sweet, in fact, quite fresh and floral, can totally craving it non stop. Enjoyed as aperitifs or with coffee like how the french does.